We can become more diligent and concerned at home as we are more faithful in learning, living, and loving the restored gospel of Jesus Christ. 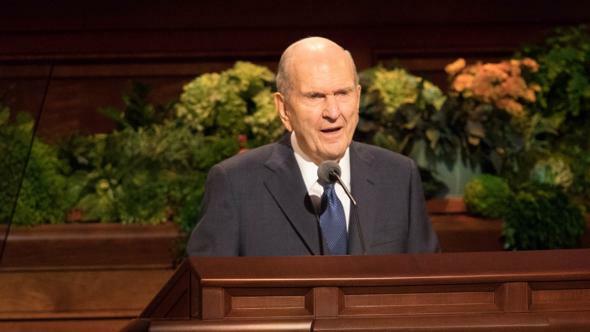 In 1833 the Prophet Joseph Smith received a revelation that contained a strong rebuke to several leading brethren of the Church to set their families in order (see D&C 93:40–50). A specific phrase from this revelation provides the theme for my message—“more diligent and concerned at home” (verse 50). I want to suggest three ways each of us can become more diligent and concerned in our homes. I invite you to listen both with ears that hear and with hearts that feel, and I pray for the Spirit of the Lord to be with all of us. Such an expression of love may be appropriate. But when I hear a statement like this, I squirm and silently exclaim that the spouse and children should not be hearing this apparently rare and private communication in public at church! Hopefully the children hear love expressed and see love demonstrated between their parents in the regular routine of daily living. If, however, the public statement of love at church is a bit surprising to the spouse or the children, then indeed there is a need to be more diligent and concerned at home. 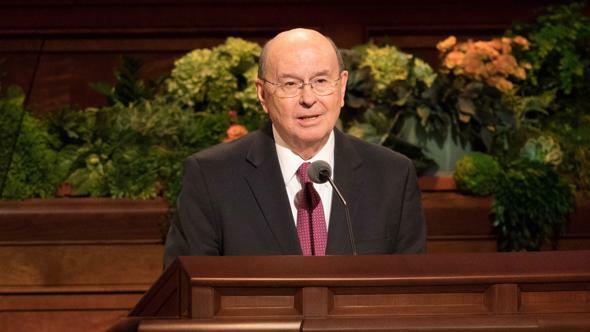 We also can become more diligent and concerned at home by bearing testimony to those whom we love about the things we know to be true by the witness of the Holy Ghost. 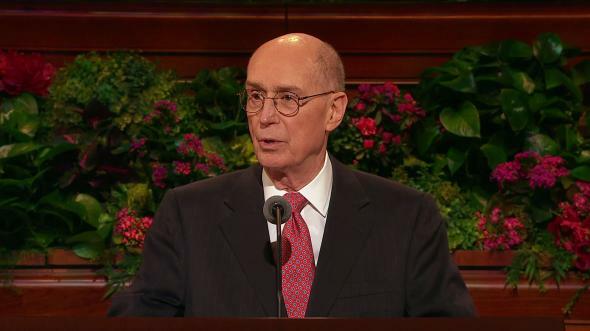 The bearing of testimony need not be lengthy or eloquent. And we do not need to wait until the first Sunday of the month to declare our witness of things that are true. Within the walls of our own homes, we can and should bear pure testimony of the divinity and reality of the Father and the Son, of the great plan of happiness, and of the Restoration. 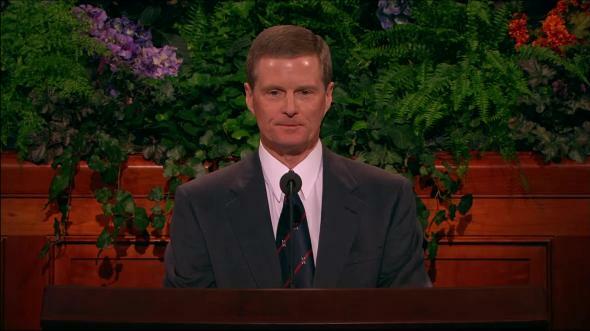 Each of us already knows we should bear testimony to the people we love the most. But what we know is not always reflected in what we do. We may feel unsure, awkward, or even perhaps a bit embarrassed. 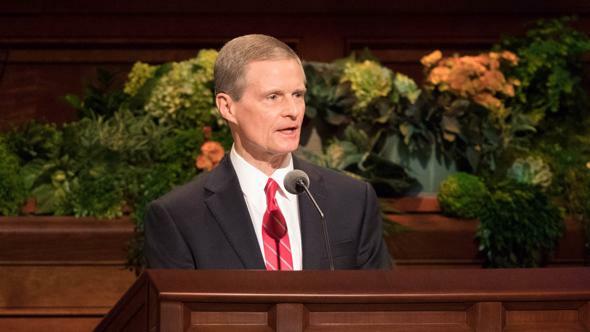 The relationship between testimony and appropriate action is emphasized in the Savior’s instruction to the Saints in Kirtland: “That which the Spirit testifies unto you even so I would that ye should do” (D&C 46:7). 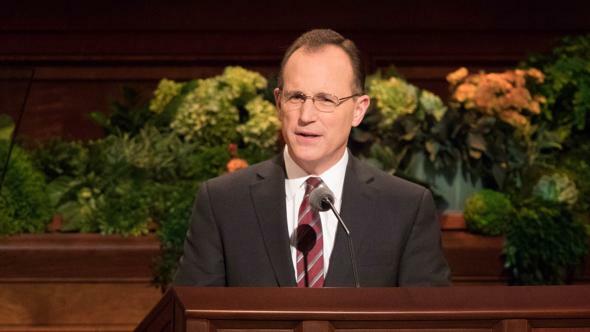 Our testimony of gospel truth should be reflected both in our words and in our deeds. And our testimonies are proclaimed and lived most powerfully in our own homes. Spouses, parents, and children should strive to overcome any hesitancy, reluctance, or embarrassment about bearing testimony. 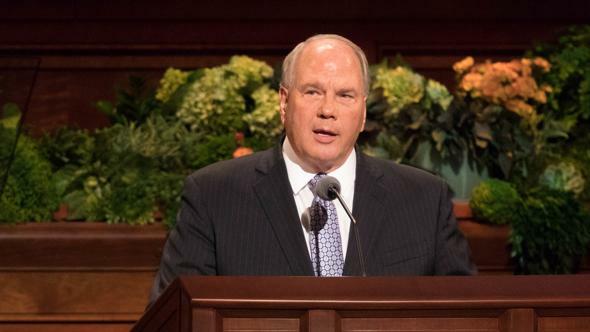 We should both create and look for opportunities to bear testimony of gospel truths—and live them. 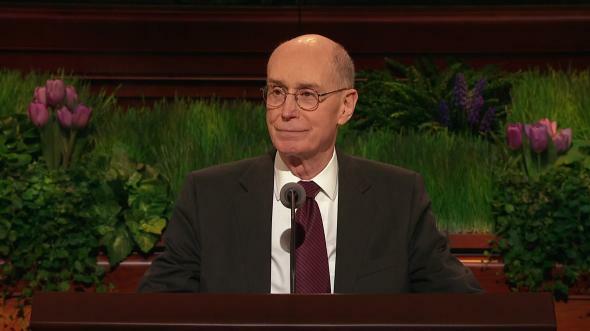 A testimony is what we know to be true in our minds and in our hearts by the witness of the Holy Ghost (see D&C 8:2). As we profess truth rather than admonish, exhort, or simply share interesting experiences, we invite the Holy Ghost to confirm the verity of our words. 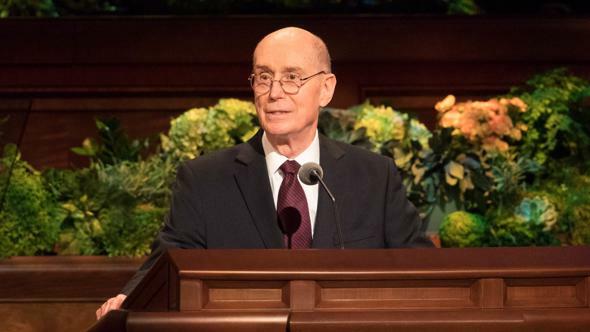 The power of pure testimony (see Alma 4:19) does not come from sophisticated language or effective presentation; rather, it is the result of revelation conveyed by the third member of the Godhead, even the Holy Ghost. Feeling the power, the edification, and the constancy of testimony from a spouse, a parent, or a child is a rich blessing. Such testimony fortifies faith and provides direction. Such testimony generates light in a world that grows increasingly dark. 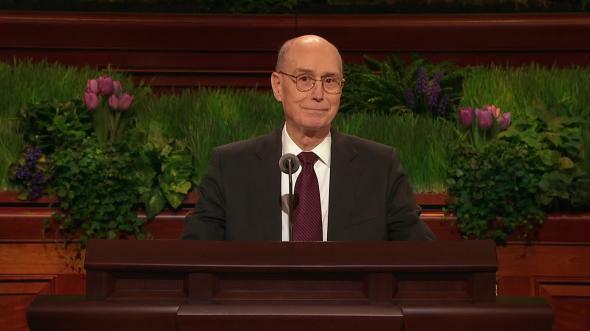 Such testimony is the source of an eternal perspective and of enduring peace. 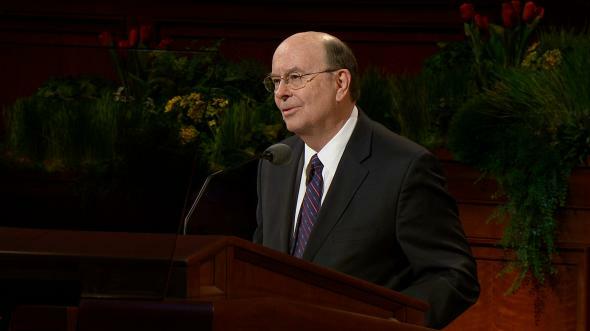 We can become more diligent and concerned at home as we bear testimony—and consistently live it. A public statement of love when the private actions of love are absent at home is hypocrisy—and weakens the foundation of a great work. Publicly declaring testimony when faithfulness and obedience are missing within our own homes is hypocrisy—and undermines the foundation of a great work. The commandment “Thou shalt not bear false witness” (Exodus 20:16) applies most pointedly to the hypocrite in each of us. We need to be and become more consistent. “But be thou an example of the believers, in word, in conversation, in charity, in spirit, in faith, in purity” (1 Timothy 4:12). 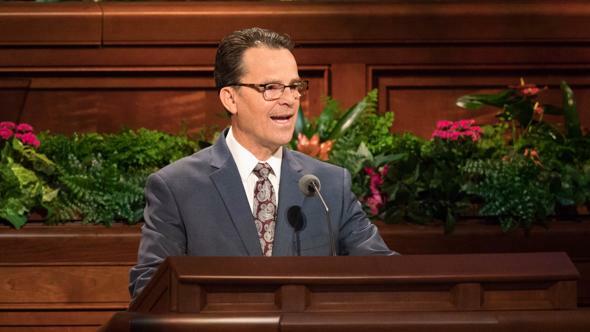 As we seek the Lord’s help and in His strength, we can gradually reduce the disparity between what we say and what we do, between expressing love and consistently showing it, and between bearing testimony and steadfastly living it. We can become more diligent and concerned at home as we are more faithful in learning, living, and loving the restored gospel of Jesus Christ. 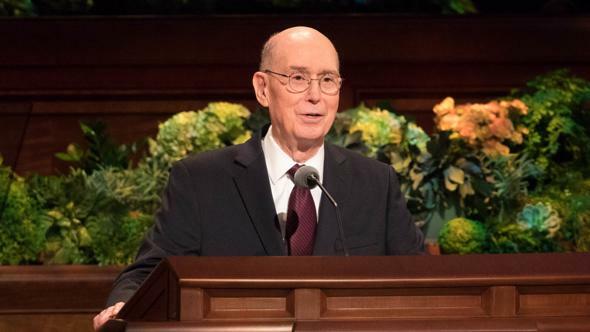 “Marriage between a man and a woman is ordained of God and … the family is central to the Creator’s plan for the eternal destiny of His children” (“The Family: A Proclamation to the World,” Liahona, Oct. 2004, 49; Ensign, Nov. 1995, 102). For these and other eternally important reasons, we should be more diligent and concerned at home. May every spouse, every child, and every parent be blessed to communicate and receive love, to bear and be edified by strong testimony, and to become more consistent in the seemingly small things that matter so much. In these important pursuits we will never be left alone. Our Heavenly Father and His Beloved Son live. They love us and know our circumstances, and They will help us to become more diligent and concerned at home. Of these truths I testify in the sacred name of the Lord Jesus Christ, amen.